“Genetic Transmission” was commissioned for Purple Fashion in 2004. 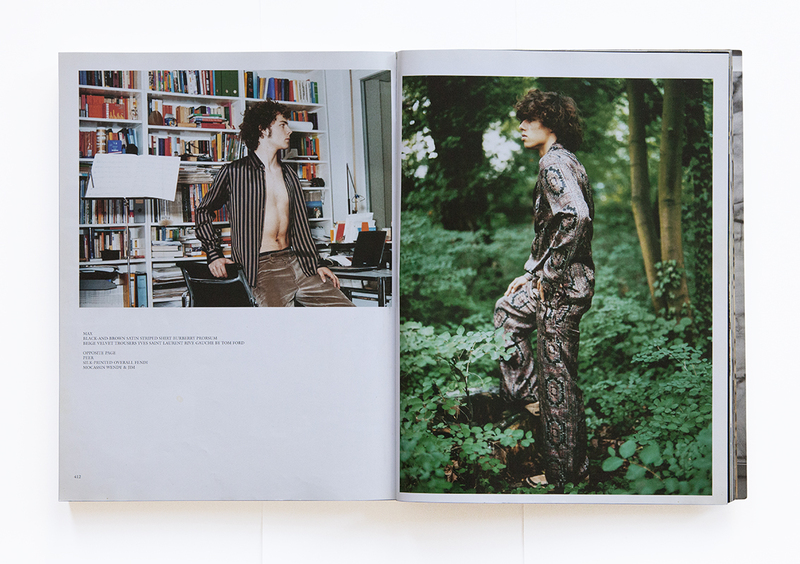 Olivier Zahm, the editor of the magazine, had conceived of the shoot as a bourgeois sequel to Knes' E.M.T in MSP. Replicating the earlier series in an upper middle class urban environment was not a simple act of transposition. To fill the brief Knes reflected on the inherent problematics of Zahm's proposal. The title of the series, which was assigned by Zahm, indicates the locus of this dilemma. In these photographs the possible manifestations of the genetic are interspersed and conflated with the learned behaviors of class and their attendant material manifestations. The mysteries of class and birth are given ironic form by Knes and the models. The youth in the series, all 'genuine' members of a cultured bourgeois milieu, self-consciously perform their 'natural' urbanity. As an humorous and conceptually adroit addition, the models in chapter 1 are Knes' parents. This is an important admission by Knes that he is similarly implicated as a stakeholder within the slippery incorporations of class, taste and biology?? 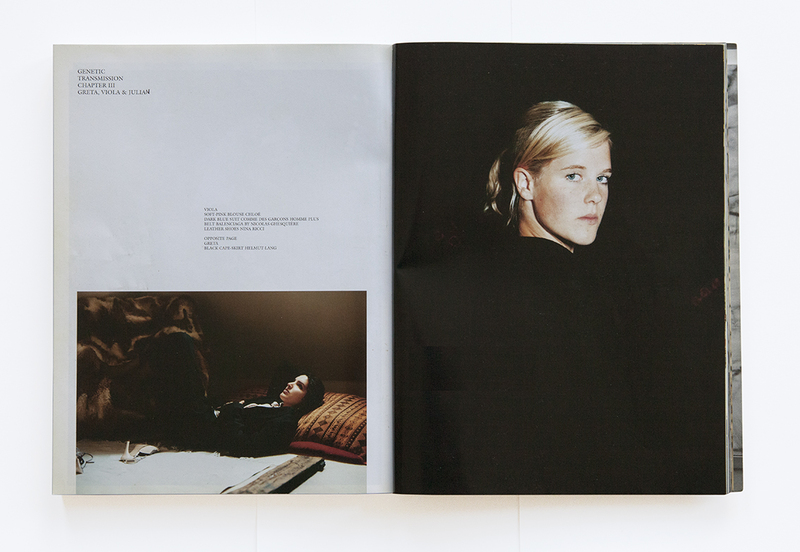 In its published form, the series comprised three sections, each titled after the first names of those who appear in the photographs – Chapter 1: Rosemarie & Hugo, Chapter 2: Neele, Peer & Max, Chapter 3: Greta, Viola & Julian. Greta, the blonde girl in the final chapter is the important link for the story. The daughter of the musician Moritz von Oswald, Greta had been introduced to Knes by the fashion retailer Yasmine Gauster. As the godmother of Greta, Gauster 's introduction garnered the trust necessary for the shoot. 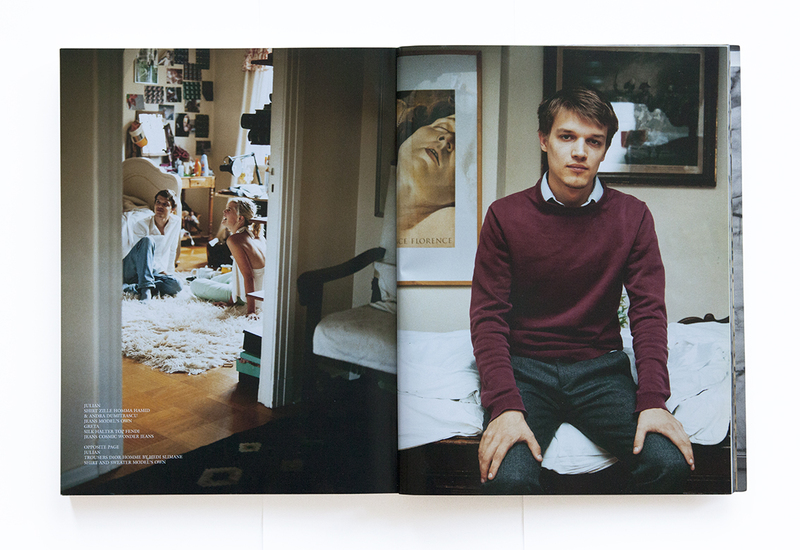 The models in chapters 2 and 3 were friends of Greta, and both Greta and the siblings Neele and Peer provided their family homes in the Berlin neighborhood of Dahlem as the location for the shoots. 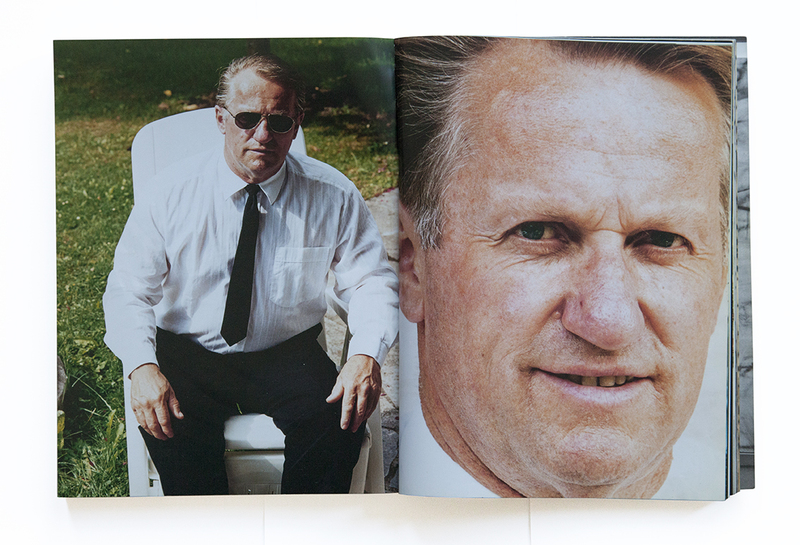 The photographs in Chapter 1 of the photographer's parents were taken at their home in rural Southern Germany in the Summer of 2000. In each of the three portraits, they are carefully posed. The first image, a double portrait of the father and mother, is particularly stylized. Here, the mother is seen spraying perfume on her neck while the father watches on. It is a powerful image of female ritual and stereotypes of heterosexual role play (an obvious pre-requisite for genetic transmission!). Importantly, they are dressed in their own clothing, but it is, however, their most formal attire. Knes notes that it is, “my parents shown in a way they never lived.” He continues, “I remember I had a phase when I was questioning my social background; nothing special, I guess everybody does it on a certain point... I see these photographs a bit like a personal research on the bourgeois side and what that really means.” One's social background can only be understood in comparison or contrast and so these images of Knes' father and mother are the essential axiom from which Knes begins his researches. 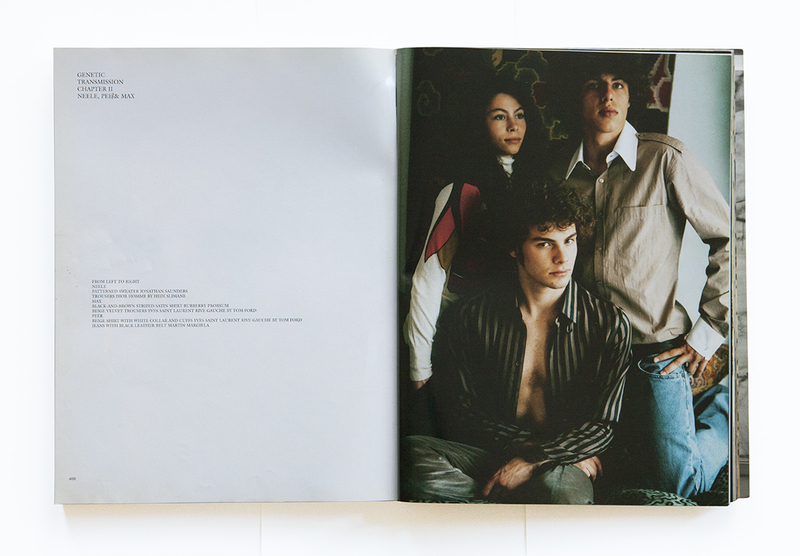 The photographs of Neele, Peer, Max, Greta, Viola and Julian have a certain pretence of the documentary. They insinuate privileged access to the affluent and urbane lives of the subjects. Of course, this study in archetypes is treated with appropriate jest. 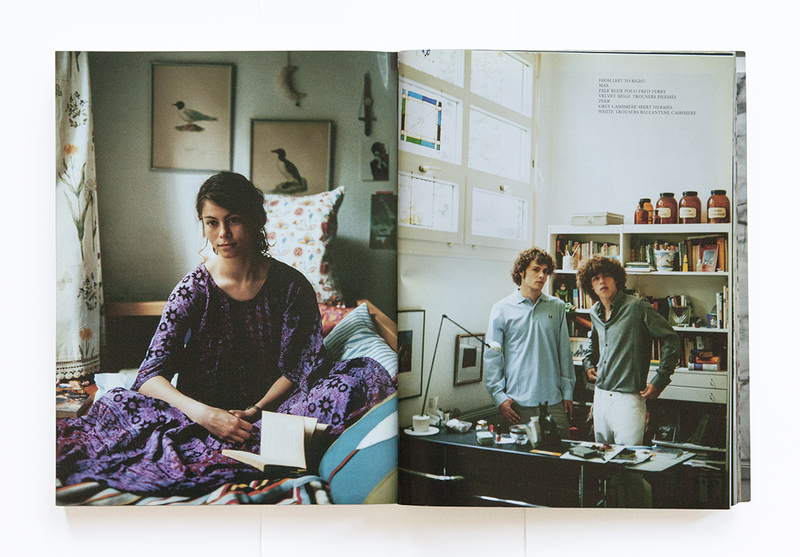 The group portrait of Neele, Peer & Max in the first photo of chapter 2 is almost parody. Each of the protagonists has a self-conscious posture, suspicious and fully aware of their collaboration. The young girl in the back left corner gazes across their collective space like an heroic astronaut, although in this case a youthful super hero of haute-bohemia. The performative in these photographs might well be understood in relationship to the photographic work of the '90s New York collective Art Club 2000. Initiated by the art dealer Colin de Land with seven students of The Cooper Union School of Art, many of their works toyed with the possibilities and artifice of collective identity. In one photo the group lounges in a retail space on showroom furniture, wearing variations of plaid or colored short sleeved shirts (shopping bags from “The Gap” are also 'haphazardly' strewn around the showroom). 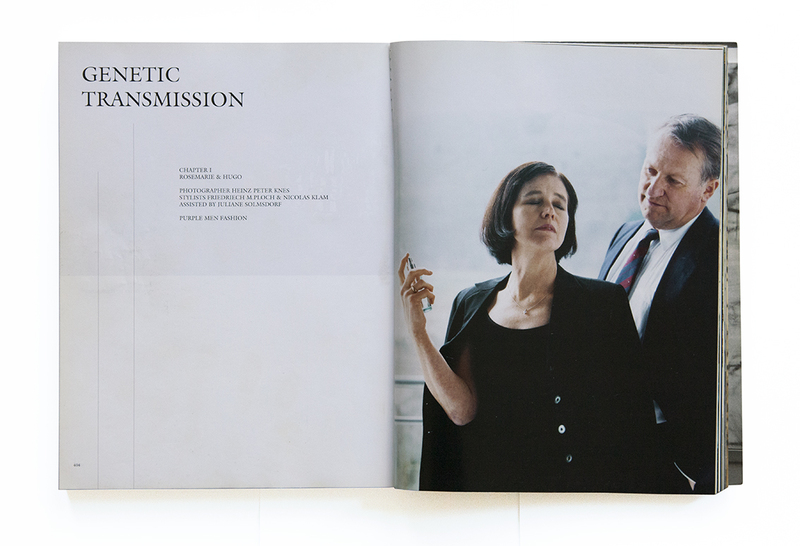 In the portrait of Neele, Peer & Max, the fabrication of a collective identity is more underhanded. The clothing in the shoot is a mixture of the model's own and designer items assembled by the stylist. While the model's reveal self-consciousness in their facial expressions, all other hints or clues of the 'document's' veracity are seamlessly blended. While the authentic is endlessly contestable, the imaginary archetypes of class and taste are the photographs only verifiable facts. Here class and taste are revealed as phantasm or simulacra. Contrary to popular misconception, it is in this form that class and taste are at their most concrete. The performance of class, taste, accumulation and inheritance, satirizes these concepts while simultaneously proving them. The final image in the series is a portrait of the youth Julian seated in a dark drawing room. 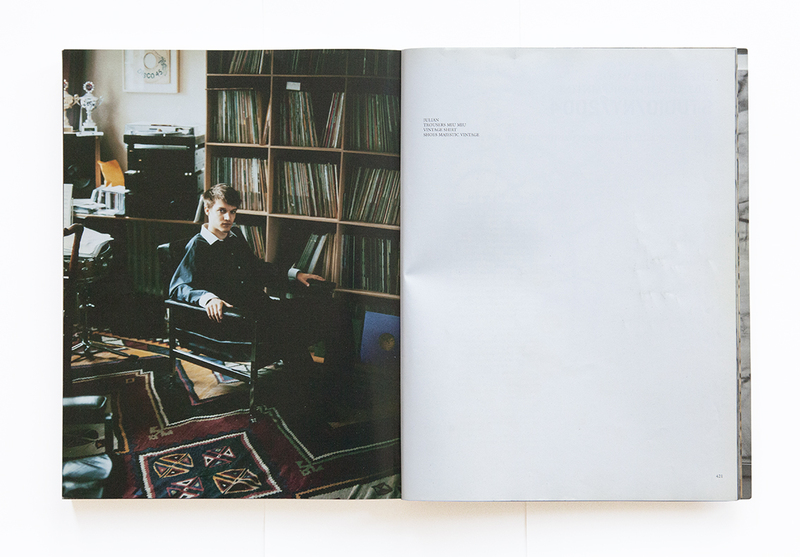 The location is the music room of Greta's family home and the young friend is seated in front of Greta's father's record collection. It is not insignificant the nature of Greta's father's musical legacy. A member of German new wave bands Palais Schaumburg and The Associates, Moritz von Oswald became a cult figure in the Berlin techno scene of the early '90s. He produced a very minimal and heavy brand of techno with Mark Ernestus under the names Basic Channel and Maurizio as well as running a number of different record labels. Heavily influenced by Dub and Reggae, von Oswald is known for his collection of that music (one can see a characteristic Jamaican record sleeve with “Disco 45” framed above a record player). There is something incongruous about this youth surrounded by the accumulation of an older man. The significations of a cultural capital impossible to such a young person. Yet the youth is not out of place. He sits there, awkward but confident, comfortable in the milieu of his friend's father's possessions. In this very classical and understated portrait of a young man, we might find the “transmission” of which the title speaks, insinuated into the photograph. Rather than a biological transmission, this inheritance is one of social accumulation. The resources acquired through human bonds have long been the bricks and mortar of society. What Knes achieves is a very elegant portrayal of this ancient activity.